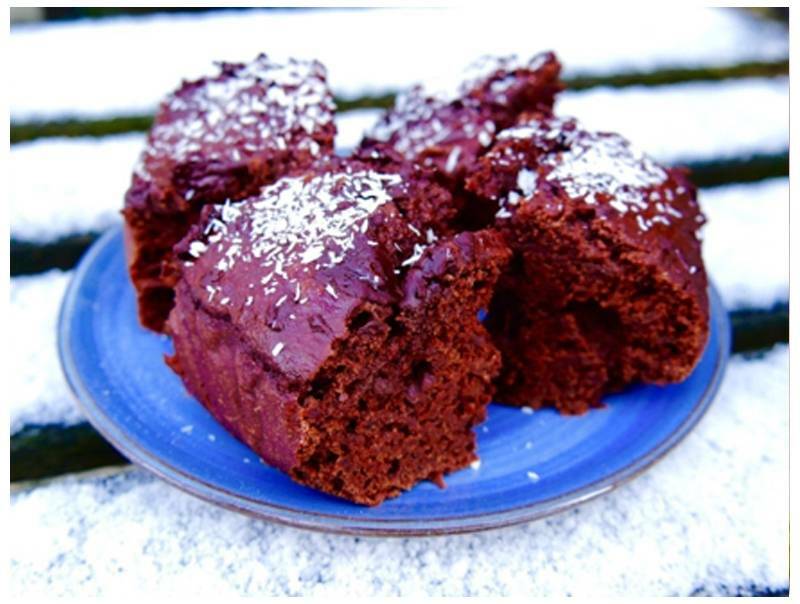 A delicious recipe to make a vegan chocolate cake. This includes Greensweet Sweet. Mix flour, baking powder, cocoa, salt and Greensweet Sweet in a bowl and set aside. Puree the oatmeal with the soft dates and mix this completely with the dry ingredients until smooth. Fill a brownie or other baking tin with parchment paper and pour the batter into the mold. Sprinkle the pieces of chocolate over the whole. Bake the cake in the preheated oven for 30-40 minutes. The cake is ready when a skewer comes out clean.